There are many online channels businesses can utilize to grow sales and brand awareness. For an eCommerce company, YouTube offers opportunities that can’t be ignored. Consider these statistics: 82% of people on Twitter use the platform to watch video content, and 45% of people watch over 30 minutes of YouTube or Facebook videos a week. Not only that, videos made up 64% of internet traffic in 2014, with predictions showing it will continue to grow. When you include videos on your webpage, people spend more time watching and engaging with the page. This has a direct positive impact on search engine optimization (SEO) and search engine results page (SERP). In fact, video is how you can land those coveted featured snippets, giving you immediate exposure in Google search results. Whether it’s SEO or social media, video is one of the best ways to get results. The statistics prove that video is an imperative part of content marketing strategy. The easiest (and cheapest!) way to use video across your marketing channels is by having your YouTube channel. YouTube enables you and your audience to share videos across platforms. Without making your own YouTube channel you are missing out. In a moment, we’ll look at why a YouTube channel is especially beneficial for companies who create an online store. First, let me address a few questions you may have before deciding to make a YouTube channel. How much does it cost to start a YouTube channel? It’s true that many marketing strategies cost money. And, if you work with a professional production company, making videos can be expensive. Thankfully, YouTube provides a platform where you and your customers can create content with nothing more than your mobile phone. It is the only equipment for starting your youtube channel. And, like many other social media platforms, YouTube is indeed free! While there are paid features available, you can get eCommerce results using a free YouTube channel. How many YouTube channels can I have? If you already have a personal YouTube channel, and you’d like to create another one for business purposes, good news: you can have as many YouTube channels as you’d like. The same way it’s possible to have multiple email address through Gmail, you can also have multiple YouTube accounts. YouTube will monitor the videos you view, like, and comment on. Keeping a personal account, in addition to a business one, ensures that YouTube won’t associate those funny cat videos you watch on your lunch break with your business YouTube channel. All you’ll need is a new Google account (as in a new Gmail address) for each channel. Make sure you’re not managing too many YouTube channels though! Creating a successful YouTube channel takes work, and you don’t want to spread yourself too thin. Unless you have multiple employees executing your YouTube tactic, take it slow with just one channel. Once you have grown your brand into a household name, then it’s time to consider using multiple YouTube channels. This is a way you can help users find the content most relevant to their needs. With so many different types of search intent on Amazon videos, it makes sense the company has multiple YouTube channels. Is it safe to have a YouTube channel? You want to start your YouTube channel but you’re scared. It’s true what they say; once you put it on the internet, it’s there forever. Sure, you can take it down. And, if you don’t have a lot of followers, chances are no one will see your video faux pas. But there are plenty of tech-savvy people out there who know how to find deleted YouTube content. Plus, let’s not forget how easy it is to take a screenshot on any device. If you (or an employee) post something controversial, you better pray you get it taken care of before the media or customers take notice. Now that you’ve got some basic YouTube channel knowledge, it’s time to look at how to create your YouTube account. Before you get too far into your YouTube channel creation, think about how video fits into your content strategy as a whole. Is the primary goal of your YouTube channel sales or increased brand awareness? By starting with your goal, you will have a targeted strategy when making your videos. In addition, how will you measure success? Potential metrics to consider include traffic to your website from your YouTube channel, views, likes, and social media shares. Earlier I mentioned two potential goals for your eCommerce YouTube channel – increased sales and brand awareness. These goals go back to marketing fundamentals: You need consumers to know your product exists, and then convince them why they need your product – not your competitors’. You can’t ignore the fact that consumers are 46% more likely to search for a product after seeing an online video about it. Decide on your YouTube channel goals, then try out one of these four types of eCommerce video content that will definitely grow your sales. Or, feel free to experiment with another type of YouTube video! How to be a YouTuber? Remember, that monthly subscription boxes have become a popular form of eCommerce. With these subscription services, eCommerce brands have discovered a new form of user generated content (UGC): unboxing videos. Unboxing videos are a little bit like unwrapping a present: subscription recipients are curious to see what lies inside the parcel; viewers watching the videos also experience that same curiosity factor. One of the brands who does this best is BarkBox. 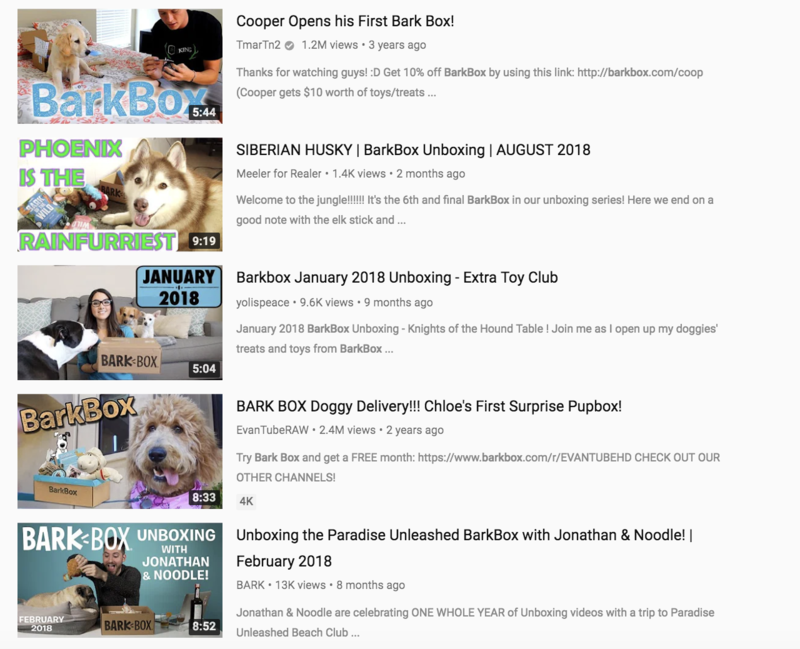 To see just how successful this tactic is for BarkBox, do a simple search for “Bark Box” in the YouTube search bar and you’ll find yourself with a bounty of unboxing videos. Yes, it’s true that many of these videos aren’t published on BarkBox’s official channel. However, Bark Box brand awareness is still increasing throughout YouTube. The unboxing videos are countless, and the videos themselves rack up thousands (sometimes even millions!) of views. 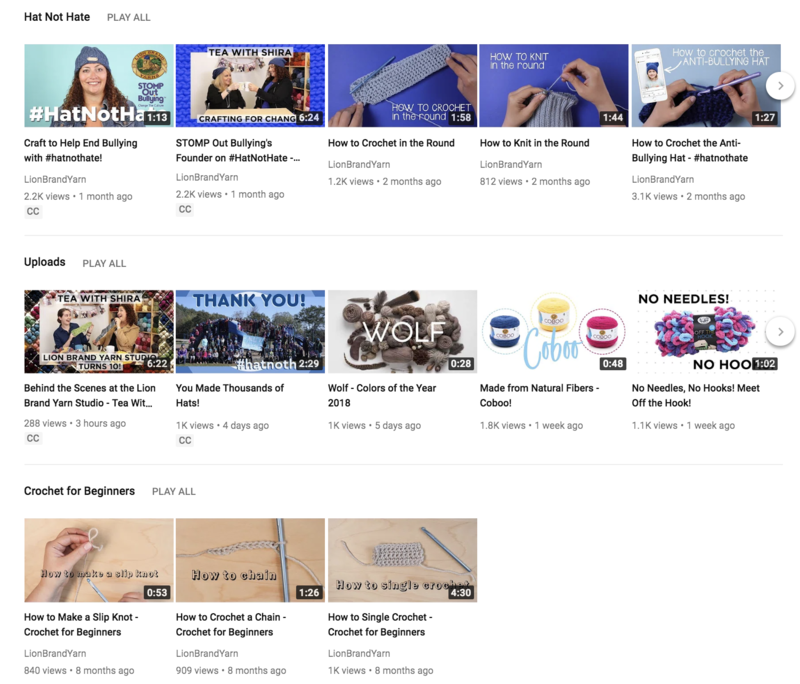 Plus, BarkBox, or any subscription company, can create a YouTube playlist with this curated content. Not every eCommerce company has subscription boxes. If this is the case for you, consider inviting your customers to share videos in which they are using or reviewing your product. Video customer reviews are one way you can use YouTube to increase both awareness and sales. 85% of consumers say UGC is more influential than content created by brands. 35% of Millennials find UGC more memorable than other media. 84% of Millennials say that UGC on a company website has at least some impact on what they buy; 70% of Boomers say the same thing. By displaying videos of customers using your product, you’re giving your target market a source they can trust: their peers. This is how you can show that your product is indeed the best on the market. Don’t forget that videos your customers create (instead of you) also save you plenty of time and production costs! In addition to customers, you can also raise awareness by reaching out to YouTube influencers and asking them to review your product. “How-to” videos are one of the most searched types of content on YouTube. In 2015, there were over 100 million hours of how-to videos watched on YouTube; this was a 70% year over year increase. Think about your target audience. What might they need instructions to do? Can any of your products be used when demonstrating a process? If so, this is definitely an area to capitalize on. If your product can’t be used as an integral part of an instructional video, you don’t need to shy away from the tactic. As long as the video serves a purpose for your target audience, go ahead and fulfill their DIY needs. Then, finish the video with a call-out about your product. This way, you can still increase brand awareness. Sometimes you can solve a customer’s problem with “how-to” videos. At other times, your product is the solution; no instructions needed! This is the perfect opportunity to use case studies and testimonials from your customers. Even without customer participation, you can still create a video which shows how your product solves problems or challenges your clients are facing. The video shows the gait of a person walking with and without the Smart Step AFO brace. With 2,416 views, you can be sure they’ve created a video around an issue their target audience is facing. Now that you have a strategy in mind for creating YouTube videos, it’s time to go through the process of creating your YouTube channel, step by step. Later, you can also try to verify your account. To begin, we’ll start with the first step: making a YouTube account. If you already have a Gmail account, there’s no need to create a new user profile for YouTube. 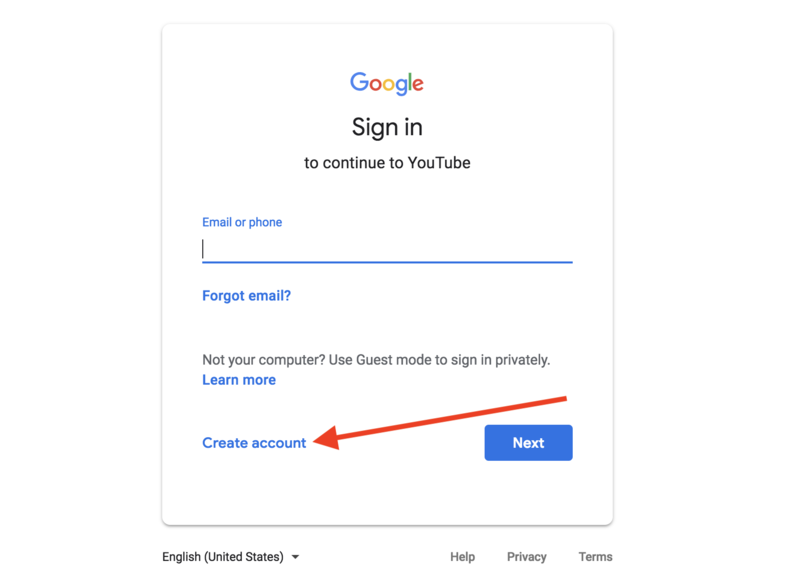 Simply go to the YouTube home page, and log in using the same credentials you do for Gmail. Easy! If this isn’t the case for you, you’ll create a YouTube account by creating a Google account. This can be used for Gmail, Google Plus, and any other Google programs. To get started with the process, go to the YouTube home page, then click the “sign in” button. When you create your account, there will be an option to use YouTube as a business. By doing so, you can enter a business (instead of a person’s name) for your YouTube channel. From there, simply add your details and follow the prompts as instructed. Some companies use Google accounts, such as Gmail and Google Docs, for regular business activities. If this is the case, your company may already be set up with a YouTube business account. Having administrative access to a YouTube business account has its benefits; for example, you can give multiple employees access to customize your channel and upload videos. While great visuals are essential on any YouTube channel, don’t forget the importance of text. When making your YouTube channel, it’s worth putting some thought into your channel description. With a maximum of 1,000 characters, your channel description must be brief, but make sure to still include any relevant keywords your audience may be searching for. Think of this as your company’s elevator pitch. What’s the first thing you want users to know about your company? The most important information should be at the beginning of your description. The screenshot above shows the entire YouTube description for The Pajama Company. As you can see, that description gets cut off pretty quickly. The Pajama Company does a great job getting the essence of their brand (pajamas!) as well as an emotional appeal of happiness into those beginning characters. Aside from the videos you upload, every YouTube channel has two other visual elements: your YouTube profile picture and your YouTube banner. Put together, these two items make up your channel art. Here are some points to consider for each item. A YouTube profile picture is the same thing as a channel icon; the terms are used interchangeably. Your profile picture is the image that represents you throughout your use of Google; the same icon is used on YouTube, Google Plus, and Gmail. The icon dimensions are 800 x 800 pixels. Make sure that any important elements of your profile picture fit within a circle; this is how your profile picture will be displayed throughout YouTube. 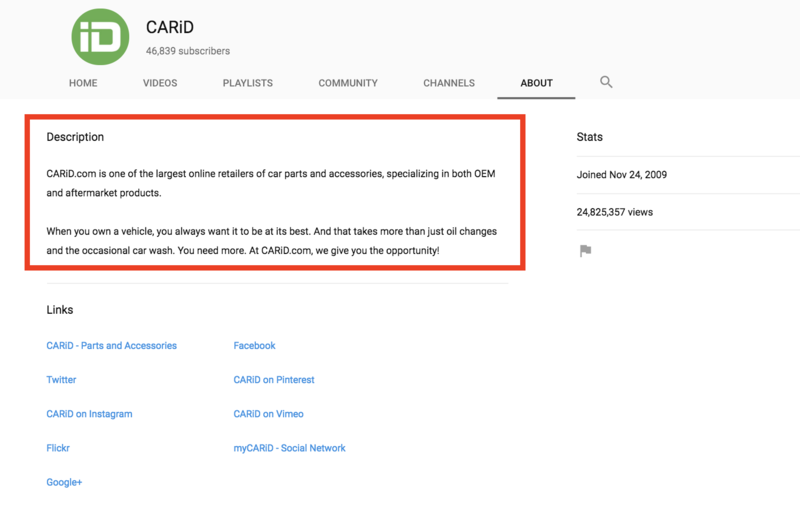 Here you can see the profile picture for eCommerce store CARiD; a channel with 46,000 YouTube subscribers. The company has used a logo as its profile picture. While this is common for businesses using YouTube, best practice guidelines are to use a colored background, as CARiD has done. The profile picture white background blends in with the light gray color surrounding it. In addition, the text is cut off; it does not fit within 800 circular pixels. To ensure your icon is the correct size, download a free YouTube profile picture template. Think of your YouTube banner as your channel’s billboard. This is where you can use text, images, or a combination of both to give YouTube users an understanding of your brand and your channel. Some companies use their YouTube banner to promote a chosen product or campaign. Others use it to represent their channel as a whole. A good YouTube banner also makes viewers think of the products you sell. In this YouTube banner, you can see the power of a simple, high-quality product image for another eCommerce store, Stur. Users looking to find their channel will know that they’ve found the right page with the recognizable product and branding. Not only does it grab your attention with a behind-the-scenes picture, seeing someone in filming a cooking show while standing in a dumpster has a definite curiosity factor! Like your channel description, this is exactly what your YouTube banner should do; it’s an image that has an emotional appeal and piques curiosity. You want to give viewers an idea of what you do and get them to scroll down and see what videos are on the page. A professional YouTube banner is a representation of a high-quality YouTube channel. As a result, it’s associated with an eCommerce store that sells high-quality products. When creating your YouTube banner, make sure you have the correct dimensions that account for a responsive design. Your YouTube banner will look substantially different on a mobile device versus a desktop computer. To ensure you don’t have any important text or design elements missing on particular devices, download a free YouTube banner template. Once you’ve created your YouTube channel art, it’s time to get your videos onto YouTube. There are two major steps; the first is uploading your videos to YouTube, and the second is adding video descriptions. YouTube wants to continue building their platform’s content as much as possible. As a result, they make it extremely easy to add videos. Whenever you are on YouTube, at the top right corner of the page you’ll see an icon that looks like a video camera with a plus sign in the middle of it. To upload your video, simply click on this icon. After beginning the upload process, you’ll find the ability to select your video’s privacy settings. This means it is available for anyone to see, and your video will appear in YouTube search results. The second step of uploading videos involves adding your YouTube title and description. Like your YouTube channel description, you’ll notice that there is a limit to how many characters appear in the video description of search engine results. In the same way, if your video appears directly in Google search results, there will be a limit on the number of characters shown. Make sure you have the most important details of your video in the first 160 characters of the video description. CTA’s are another important factor to consider in your video descriptions. Think back to the goals of your YouTube channel. What action do you want people to take? If it’s visiting your website and purchasing a product from you, give them the link to do so. A YouTube thumbnail is the image that represents your video when it is not playing; this is the picture that appears in search results. When you upload your video, YouTube will auto-generate three potential thumbnails you can choose from. You can select one of these, or upload a custom YouTube thumbnail image. If you are creating a custom thumbnail, create an image with the correct dimensions of 1280 x 720 pixels. To ensure you meet all other requirements, such as minimum width, maximum file size, and accepted file type, download a free template with the correct YouTube thumbnail size. Once you’ve got videos uploaded to your YouTube channel, it’s time to organize them. This sixth step ensures you are giving your YouTube videos maximum exposure to engage with potential customers. The first thing to think about is your YouTube trailer. Just like a movie trailer, your YouTube trailer should display some of your best content, and have viewers eager to see more. The trailer is shown to any YouTube viewer who visits your page and is not a subscriber. Let’s go back to the YouTube channel for Todd Wilbur’s Top Secret Recipes. Being on a show with national recognition gives Todd instant credibility. In addition, notice the ending of the video description: “Find out if he pulls it off.” Once again, the video encourages YouTube viewers to watch the entire thing by playing into their curiosity. As you continue to upload videos to your channel, you’ll want to organize them into playlists. This makes it easy for viewers to find the content they are looking for. Playlist titles also help first-time visitors to your channel get a deeper understanding of your YouTube channel’s value. Let’s go back to Lion Brand Yarn. In addition to the YouTube playlists shown in this screenshot, others include Knitting for Beginners, Get to Know Our Yarns, and Colors of the Year 2018. Just like videos and channels, playlists can also appear in search results. If you want to maximize YouTube and you’re short on time, you can create curated playlists. These are YouTube videos which have been published by other YouTubers; the videos have a similar theme and are relevant to your audience. In total there are 54 videos on that playlist! Success in YouTube comes down to more than great videos. For an eCommerce company, YouTube success is a two-sided coin. The first is your presence within YouTube; how much people are interacting with your brand on the channel. On the other side, a successful YouTube strategy means utilizing your YouTube videos in other areas, such as your website. Tip: Check out the YouTube Creator Blog, where the founders share insights on how to promote videos and improve engagement. Here we’ll look at several ways to find success through an integrated YouTube strategy. If you are familiar with SEO, you’ll recognize the importance of keywords. In essence, it comes down to using the words or phrases your audience is searching for. This should be done with as much consistency as possible. CARiD also displays an integrated approach with links to their website and social media profiles. Anywhere on YouTube, when you are writing a text you should think about keywords. This includes your channel name, video titles, video descriptions, tags, playlist titles, and playlist descriptions. In this screenshot, I’ve marked in red some of the keyword phrases CARiD has in its playlist title, description, and video titles. Wherever you are utilizing keywords, use them at the beginning of the text; the first characters of the title and description are the most important. Now, it’s the right time to start. Go on, optimize your channel for YouTube search and you’ll see the first positive results. While YouTube is a free platform, there are paid opportunities to grow your brand awareness. One way is to promote your YouTube videos with Google Ads; this enables you to show your video to YouTube viewers before their chosen video plays. When people think of ads on YouTube, many think of TrueView in-stream ads. These are the videos that appear before the video you want to watch starts playing. YouTube viewers have to watch the first five seconds, then they are able to skip the rest of the video. If you choose to use this type of Google Ads to promote your video, make sure you grab the viewer’s attention in that first five seconds. We discussed how eCommerce companies can use YouTube for product reviews. Everyone hates buyer’s remorse, and this is a type of video content with a direct impact on purchase. Once you’ve created Add product videos to your eCommerce site product videos don’t just leave them on YouTube. Add product videos to the pages where people are making the purchase decision. If anyone is on the fence, that extra bit of interactive information could give them the nudge they need to buy. Your eCommerce site should provide you with instructions to add videos to the back-end. As you add product videos to your pages, test and see which have the best result for your audience. Some products may be best suited to videos with customer reviews and testimonials; others may purchase from a video showing the product in use. Aside from product videos, look for other places to include video. Remember what I mentioned earlier? Video keeps people on your landing page. Don’t wait for customers to reach your product page to start using video. One of the best ways to do this is with a background video banner. Some companies choose to use video in just a portion of their homepage; others make a video the entire background of their landing page. While you can’t tell from this screenshot, the image behind the words “Insanely smooth video” is a video displaying of the extreme use of a GoPro in action. Many eCommerce platforms provide you with the ability to use these videos on your site. If you’re going this route, take a cue from GoPro and use a video that doesn’t need sound. The beauty of eCommerce is the ability to sell to anyone, regardless of their location. YouTube offers the same appeal: you can reach people anywhere and everywhere; all they need is a phone, tablet, or computer and a connection to the internet. If there’s a platform your customers spend their time, not just for entertainment but for research, to find answers, and solve their problems, why wouldn’t you be there too? Kristen is a content marketer at G2 Crowd who calls both Chicago and Sydney, Australia, home. 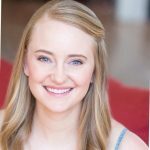 Her background includes marketing, events and public relations across a range of industries including film, publishing, professional associations, and tech. Kristen has a passion to connect with people and create content that is sincere and authentic. Find Kristen on Twitter @AusmericanGirl or LinkedIn.